2019 is my twentieth year, every year of this millenium, riding the Pan-Mass Challenge with Team Dolben. My deep feelings for cancer patients, survivors, victims and their families, inspiring my participation in this phenomenal event cannot be overstated. I am exceedingly grateful to all of those who give their time, effort, and money to support improved treatment and prevention of cancer, especially through the PMC and the Jimmy Fund, which benefits the Dana-Farber Cancer Institute. 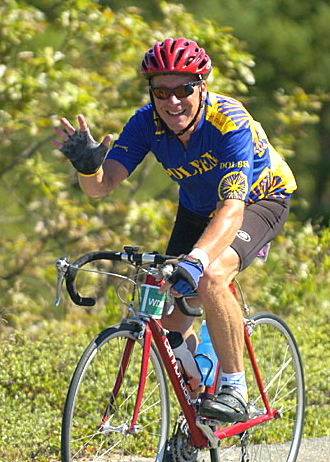 The profile photo is of me at Gillette Stadium in the 2013 Pan-Mass Challenge. Happy birthday, big guy! Godspeed!